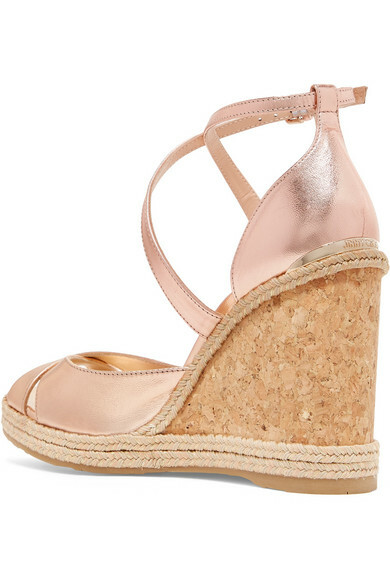 Jimmy Choo's 'Alanah' sandals have rose gold leather straps that crisscross to beautifully frame and secure your foot. Embellished with a logo-engraved plaque at the back, they're set on a hand-finished cork wedge that's outlined by a braid of raffia. 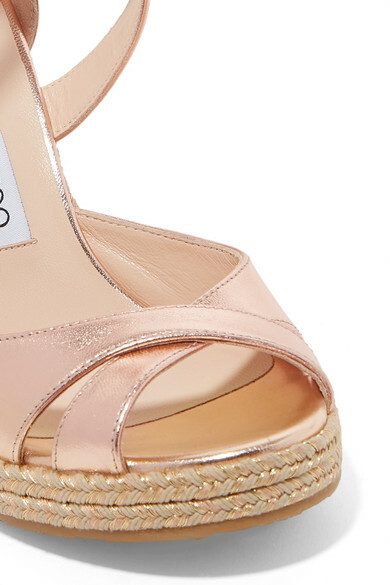 Wear them with summery dresses and cropped denim. 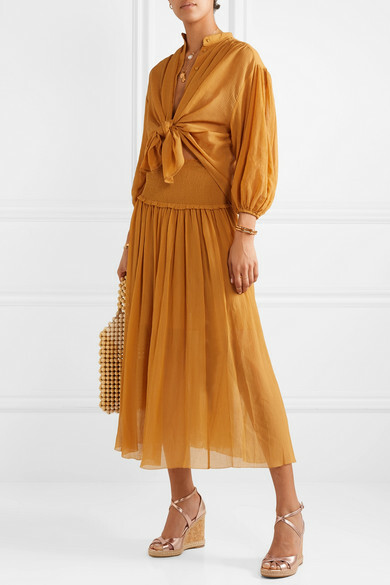 Shown here with: Zimmermann Skirt, Zimmermann Shirt, Rosantica Tote, Isabel Marant Rings, Isabel Marant Bracelet, Sophie Buhai Earrings, Alighieri Necklace, Loren Stewart Necklace, Sophie Buhai Cuff, Alighieri Necklace.